Well-established soft flooring and manufacturing company, Nouwens Carpets, recently added new talent to their dynamic sales team. According to Nouwens Carpets’ Sales and Marketing Director, Olivia Munchin, the new appointments will give the company the edge it needs to continue to maintain its status as a leader in quality, soft flooring and artificial turf. Christo Nieuwoudt, Marelize Pienaar and Blade Van Den Berg will not only inject new energy into the company, the expertise and drive they bring to the table will prove integral for the future growth plans of Nouwens Carpets. “We are delighted to welcome Marelize, Blade and Christo to our growing Nouwens family and we are confident that they have the skills and passion to ensure our clients continue to receive the quality product advice and service that over the past 50 years has helped us become one of the most loved and trusted soft flooring brands in both carpets and artificial turf and a leading manufacturer in South Africa and on a global scale,” says Olivia. 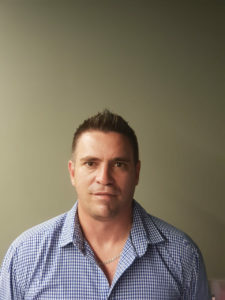 Christo Nieuwoudt joined the sales team in January 2019 as an Architectural Specifier in the Johannesburg region. 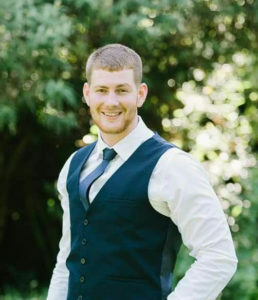 Christo has over 17 years of experience in sales and specifically in the construction industry and has racked up a number of qualifications in sales and project management. Nieuwoudt started his impressive working career by bowling over the opposition as a professional cricketer. His role at Nouwens Carpets will focus on sourcing new business and maintaining relationships with their valued clients. 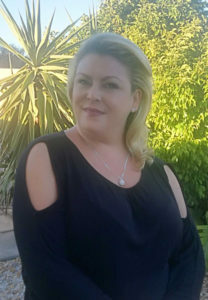 Late last year, Marelize Pienaar joined the company as an Architectural Specifier to service the Western Cape region. Marelize is tasked with managing all commercial projects and works closely with architects, contractors, interior designers, quantity surveyors and developers to ensure the Nouwens product specified is the correct application for the project. Before she found and pursued her passion for flooring, Marelize’s interesting career highlights working in the wine industry for Bidvest and as a professional model in the beauty industry. Blade van den Berg joined Nouwens Carpets last year as a Key Accounts Manager in the Johannesburg and surrounding areas. Sales and customer service are in his blood, and despite his youth, Blade has accumulated years of experience in retail and successfully headed up numerous operational and logistics projects. He is passionate about promoting the Nouwens Carpets brand to architects and designers, as well as servicing their other long-standing clients. Whether it’s for residential, corporate or outdoor turf applicaitons, whether it’s nylon, polypropylene, polyethylene or wool, whether it’s the current trends or dramatic pops of colour in varying sizes and shapes, the Nouwens Carpets’ sales team is ready to assist you with all your soft flooring and artificial turf requirements. For more information, contact Nouwens on +27 (58) 622 1101 or via www.nouwenscarpets.co.za.